Donaco International Ltd, an Australian operator of casinos in Indochina, has announced an underlying net profit after tax of AUD18.3 million (US$13.34 million) on revenue of AUD96.2 million in its financial year ended June 30. The year before it had an underlying net profit after tax of AUD54.6 million on revenue of AUD136.4 million. Donaco told the Australian Securities Exchange on Thursday that it made a statutory net loss after tax – which includes non-recurring items – of AUD124.5 million in the financial year just ended, having made a statutory net profit after tax of AUD31 million the year before. Donaco said the statutory net loss after tax took into account a non-cash impairment charge of AUD143.9 million in the value of the casino licence of its Star Vegas Resort and Club (pictured) in Cambodia, following what the company alleges are breaches of contract by the Thai vendor of the venue. Revenue at the Star Vegas casino fell to AUD66.6 million, from AUD 110.2 million in the previous financial year, after the Thai vendors breached their contracts, the company said. Donaco stated its managers were rebuilding the Star Vegas business, signing up five new operators of gambling junkets, improving the non-gaming amenities and deploying new slot machines. They had also started a new online gaming business at the Star Vegas, which they expected to contribute significantly to revenue, management said in the filings. 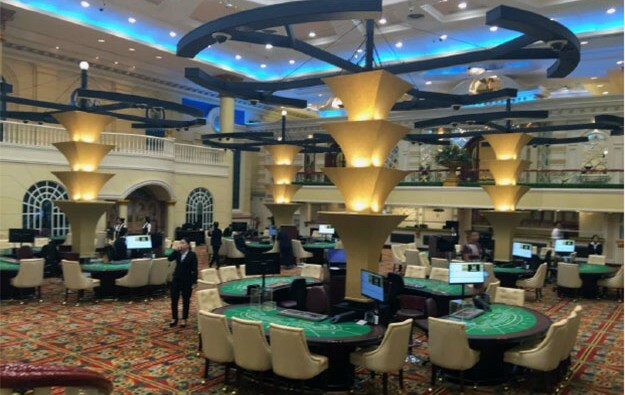 Revenue at the Aristo International Hotel casino in Vietnam also fell, but only slightly. Donaco said that business continued to perform solidly. The financial statements released on Thursday asserted the company’s financial position remained solid, and was reinforced by positive operating cash flow sturdy enough to allow the group to reduce its debt. Legal wrangling between Donaco and a trio of Thai shareholders in the company has been a constant for the past year. The three sold the Star Vegas in Poipet to Donaco for US$360 million in 2015. The agreement between the parties included a non-complete clause, which Donaco says has been breached. The parties have attempted a number of resolution methods, including arbitration proceedings in Cambodia.